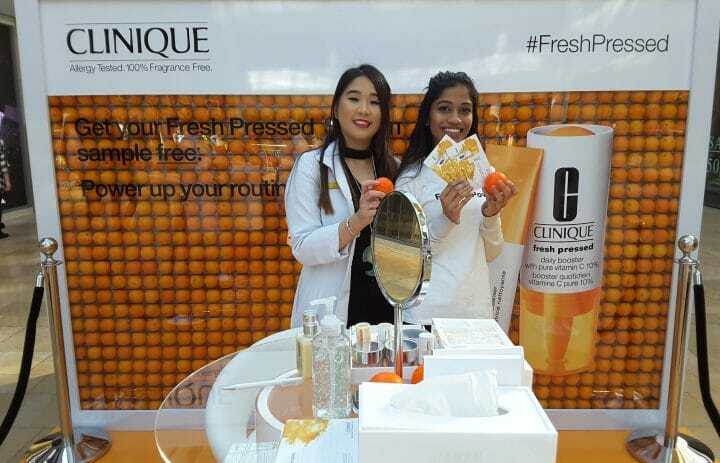 To celebrate the launch of the Fresh Pressed skincare range, Clinique wanted to create a series of brand experiences that would allow for consumers to trial the products in an engaging and on-brand environment. 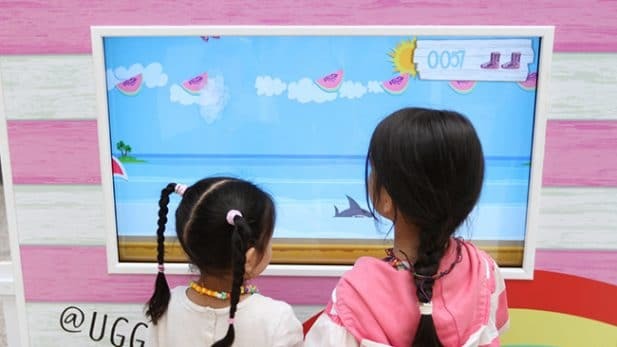 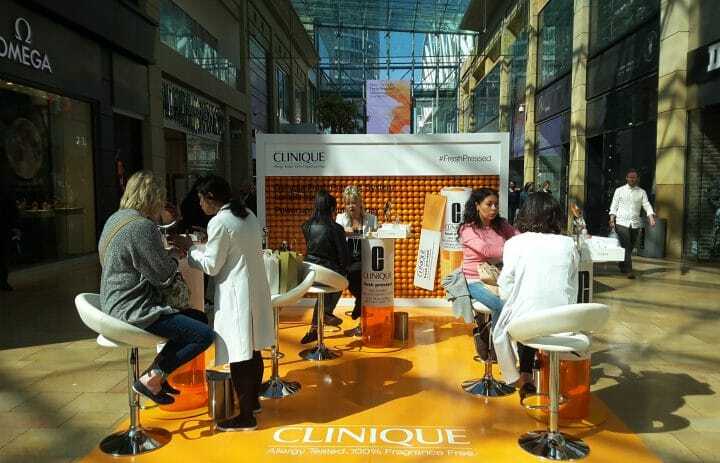 Product benefit education and driving traffic to Clinique beauty counters were also key campaign objectives. 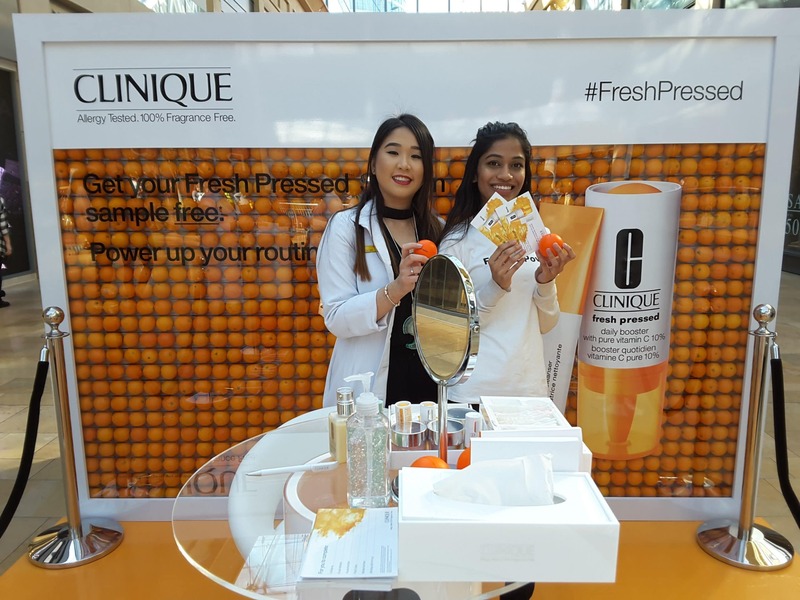 A bespoke pop-up stand, designed to effectively demonstrate and communicate the key characteristics and benefits of the product, even incorporating fresh oranges into the stand design. 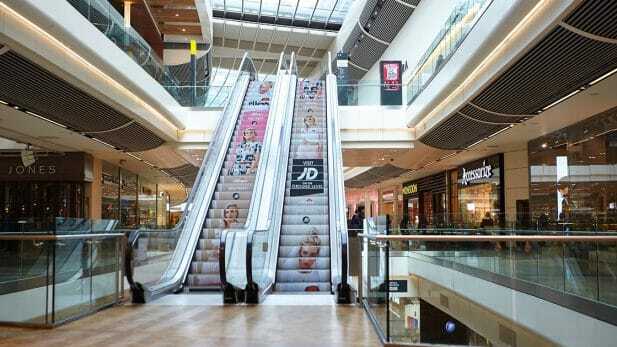 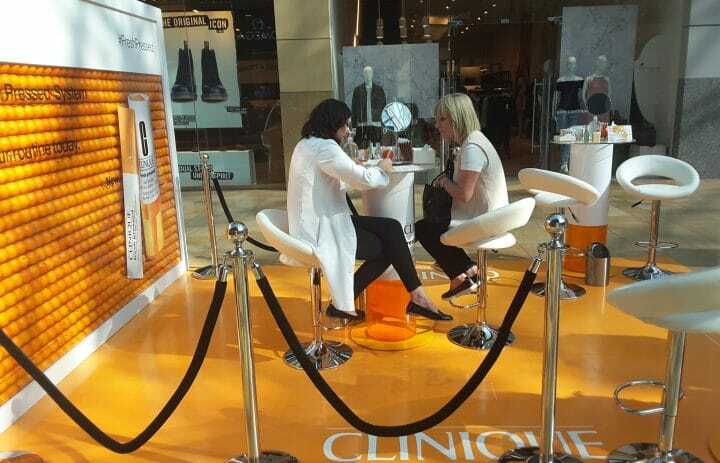 The experience visited Bullring, Trafford Centre and Bluewater over three weekends in April and May. 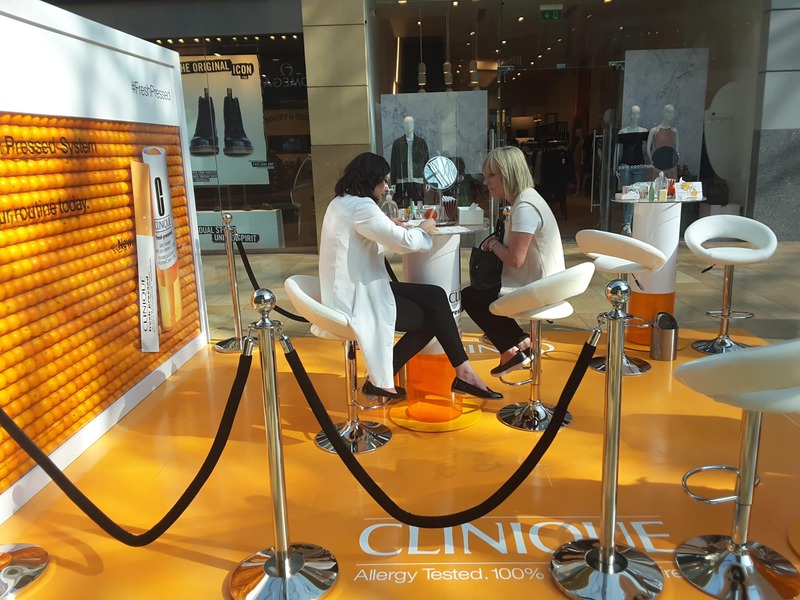 Consumers were invited to visit the experiential stand for complimentary consultations by Clinique experts and demonstration of the new product range. 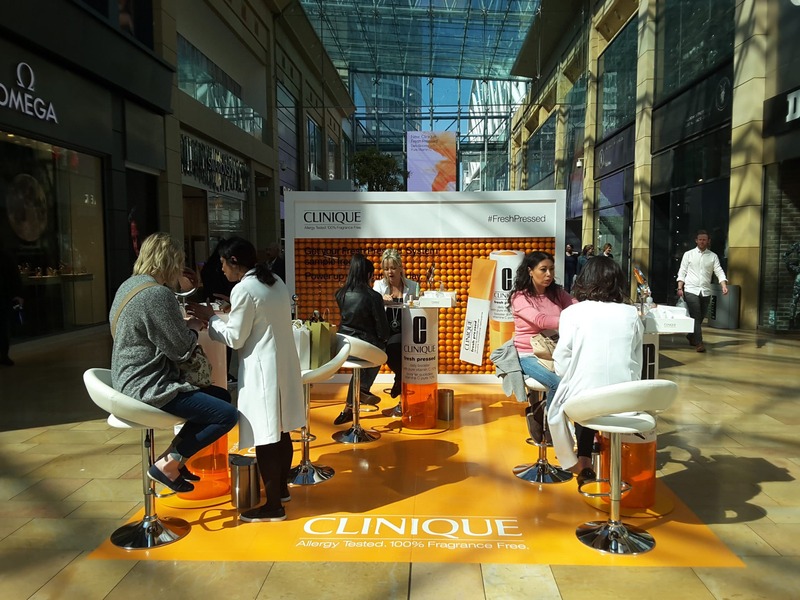 Following the consultation consumers will also receive vouchers to redeem their free product sample at the Clinique counters in each shopping centre. 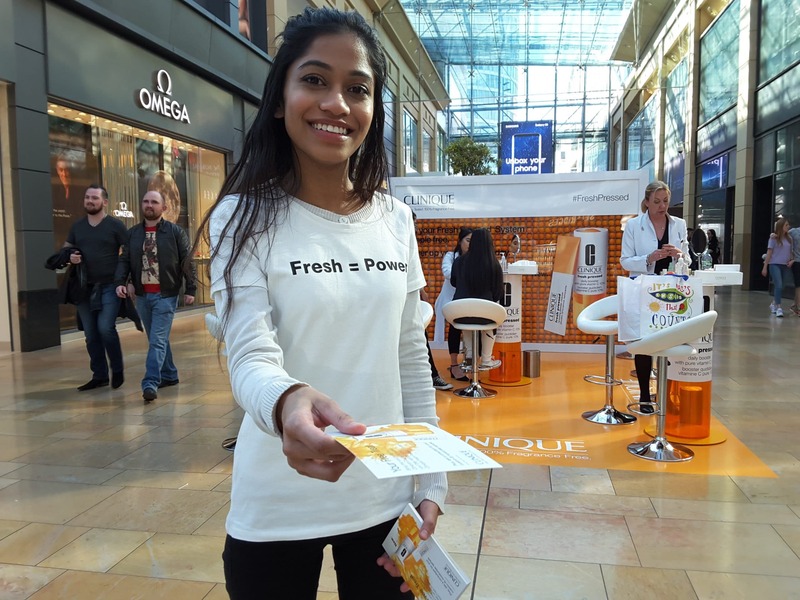 The campaign launched on Saturday 8th April at Bullring shopping centre, attracting over 330 visitors to the stand for consultations and an additional 310 consultations were carried out at the Clinique counters, while nearly 2,500 vouchers were distributed throughout the weekend.